The Forklift Towing Hitch allows conventional forklifts to be able to tow objects using a tow ball or pin. Ideal forklift attachment for allowing your forklift to tow trailers. The Forklift Tow Hitch comes fitted with a 3000KG capacity ball hitch as standard. 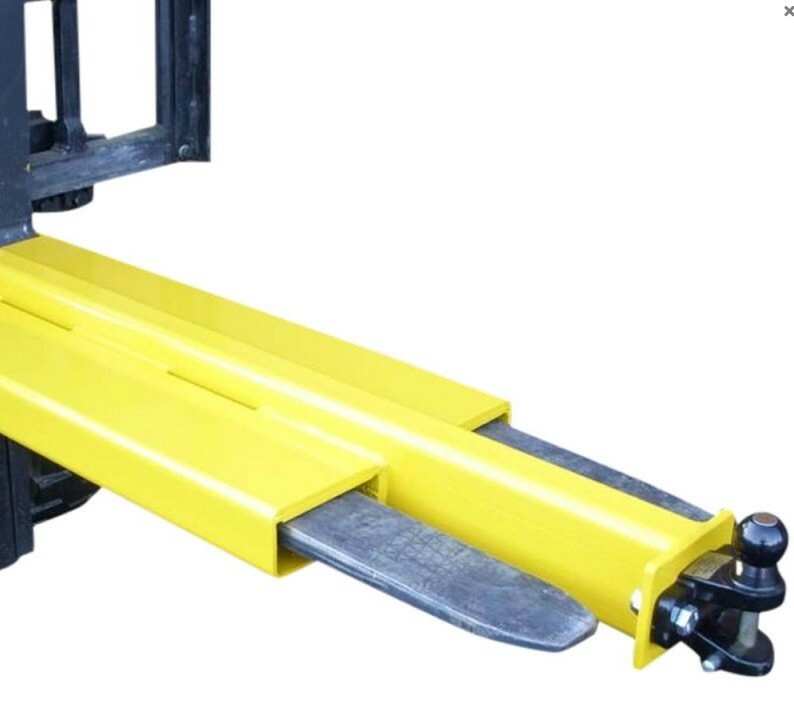 With safe and secure heel retention to the forklift forks, this allows the forklift to either shunt or pull the load into place. Like all our attachments, the Tow Hitch will come fully tested and certified to comply with the latest Health & Safety Regulations.